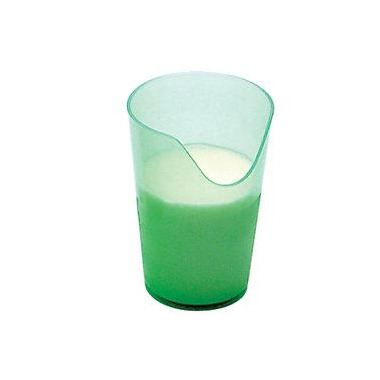 Nosey Cups have a cut out for the nose to allow drinking without bending the neck or tilting the head. These cups are injection molded to ensure a completely smooth surface and comfortable fit for the lips and nose. Dishwasher safe.